The human heart has a very complex morphology, and combined with a congenital heart defect it becomes a challenge to understand the spatial arrangement in full. 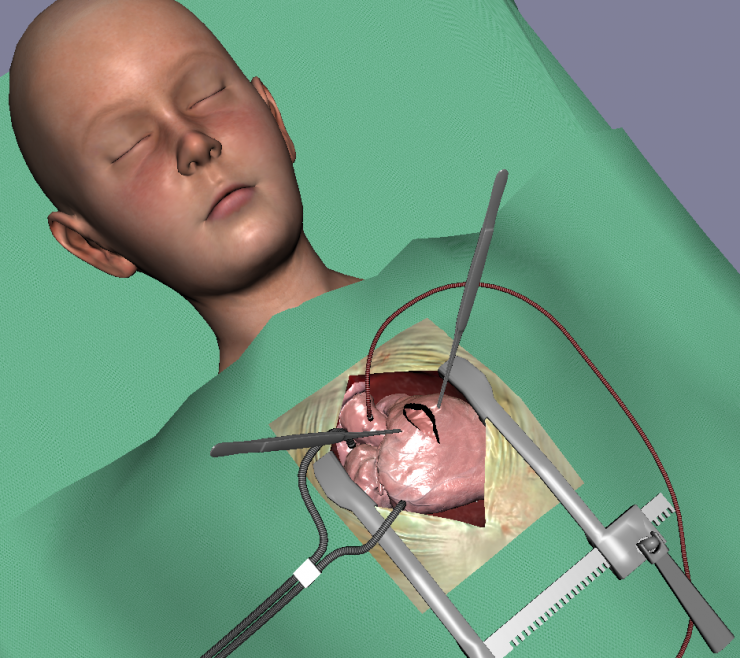 Pediatric cardiac surgeons must have a very good understanding of the morphology of the heart of a patient prior to a surgical procedure, including an overview of potential surgical strategies related to the heart defect. the research field of surgical simulation, and lastly my main research contributions on the acceleration of surgical simulation through utilization of programmable graphics hardware, as well as a preliminary evaluation of the simulator in incision planning. Four specific research contributions are presented. The first contribution presents methods to utilize the graphics processing unit (GPU) for soft-tissue deformation, resulting in a speedup of 20-30 times compared to a similar CPU implementation. The second contribution is a mapping from the simulation to an arbitrary visual surface, allowing a more detailed visual surface to be deformed by the GPU-based simulation in real-time on the GPU. The third contribution is a method for haptic-interaction with the GPU-based simulation, taking the slow memory transfer from GPU to CPU into account. The fourth contribution is the evaluation of the surgical simulator for training and pre-operative incision planning. This clinical research has been made possible through the development of a working prototype.